The view from the Ferris wheel at the Humboldt County Fair. 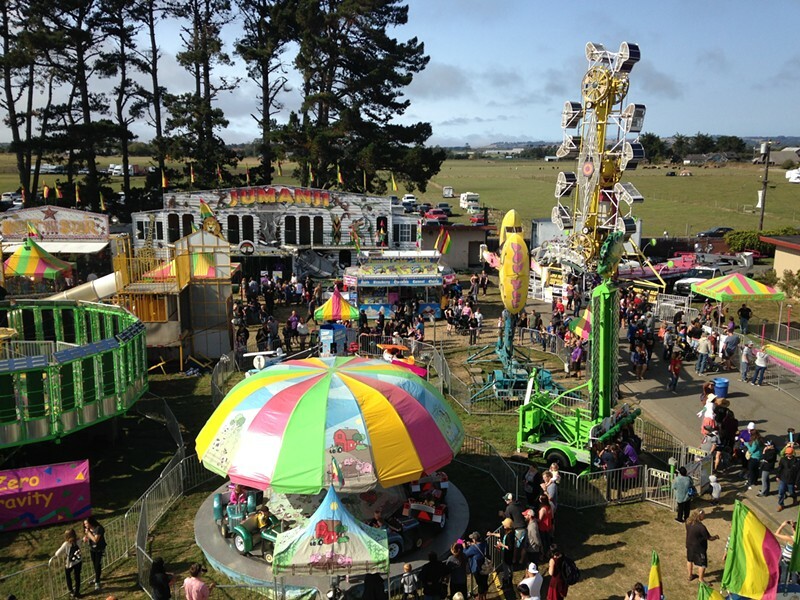 Editor’s note: With the Humboldt County Fair marking its 122nd opening day tomorrow, here’s a look back at Peri Escarda’s 2017 It’s Personal column on the annual event, the arrival of which means that summer is once again drawing to an end. 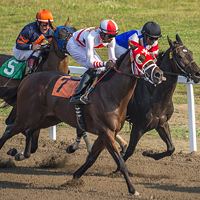 Once in the grounds, my parents would hand out some bills with the stern command to “make it last,” and then head off to the horse races. Whenever we got tired or hungry, we could make our way to the stands and join them. There was always the clang of the starting bell, the echoing voice of the commentator, the blur of the horses thundering past. I would sit with my corn dog and fries, watching not the horses but the sparrows. They would soar in aerial battles right above the stands, tumbling within feet of the spectators’ heads. Somehow, my parents always could be convinced to hand out another fiver, if only we would disappear for a bit longer. The fair only got better in adolescence. My crew would meet up hours before to “get ready,” and emerge in a cloud of hairspray, our hair feathered back to precision, faces glowing with make-up we didn’t need. Sometimes we were sent back by our parents for skirts that were too short or shirts cut too low. But eventually we would arrive at the fairgrounds, free of our parents’ watchful eyes. Arranging ourselves with careful derision, we were aware of every boy who passed. I came to regret the choice of the particular boy that I let take me up on the Ferris wheel but I’ll never regret the kiss I got there. The wind had stilled and the wheel had stopped, and the two of us hung suspended, with the fields spread out to the horizon and beyond. Anybody who could regret such a kiss doesn’t know how to live. If you’ve never been kissed on a Ferris wheel, I recommend you rectify that as soon as possible. I was to return many times to the Humboldt County Fair, eventually as a mother myself: handing out the cash with dire warnings about making it last — and yet holding back a couple of bills, just for that moment when I would relent and hand the money over. I would watch my little ones try their hands at milking a goat or take a ride on a pony or outstretch their palms to pet the warm flank of a gentle cow. And, in later years, I would watch them slink off as teenagers, while my husband and I would wander over to the barns alone, watching the harried mothers wrangle their small children with both a sense of longing and overwhelming relief. There is so much I could tell a person about the Humboldt County Fair. I know that if the sun comes out, it is likely to be mid-day, but the fog bank will return by late afternoon. I know that it is always worth it to watch the daredevil show, no matter how corny it might appear. I know that Friendship Square is the best place to eat your pie and get away from the wind. I know that the building that houses the quilts and jams will be as peaceful as a chapel, and just as restorative to the soul. I know that if you want to have faith in the next generation, just go to the barns and watch the teenagers ready their animals for the big show. Watch the young men have their ties straightened by their mothers before leading their cows along to be judged. Take the time to sit and talk to an old person; they are everywhere at the fair and what they know will always surprise you. Don’t forget to ride that Ferris wheel — reach for someone’s hand and be open to the possibility of a kiss. But if that kiss doesn’t happen this year, don’t despair. 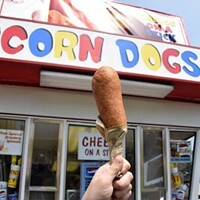 The thing about the County Fair is that, just like summer, it always returns. — Peri Escarda was born and raised in Humboldt County and worked for two decades as an instructional aide. Now that her kids have moved out, she's busy writing.